This is the third post in the series on Square foot gardening. If you haven't seen the other two, they are here. 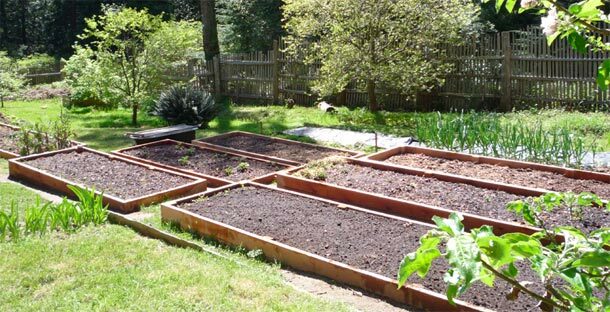 Once you have your garden plan, the next thing you need to consider are your actual planting beds and how you will make them. 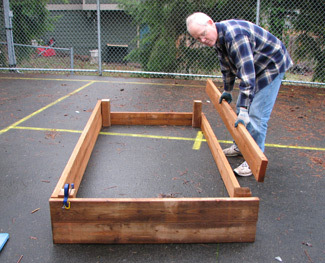 As you know by now, Square Foot Gardening is done in raised beds. 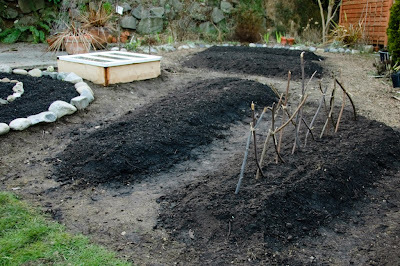 This is because it keeps the soil from being packed down by people walking on it, and it also makes it very easy to maintain the beds themselves. Another positive is that drainage is easily controlled as well. 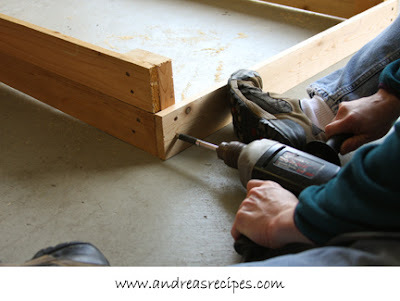 Raised beds are very easy to make and can be made very inexpensively. They are usually made out of pine, but other woods can be used, as well as other materials such as stone, bricks, plastic, and even concrete blocks if that's all you have. The most inexpensive method of course is not to build any retaining walls at all, but just to pile up the earth in the area where you want the bed. This will work, but there are a few drawbacks. It takes a bit more room because you have to allow for the slope of the bed. 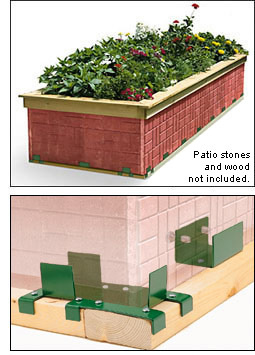 Also, you won't get the drainage benefits of raised beds and water can easily flow onto your sidewalk area. 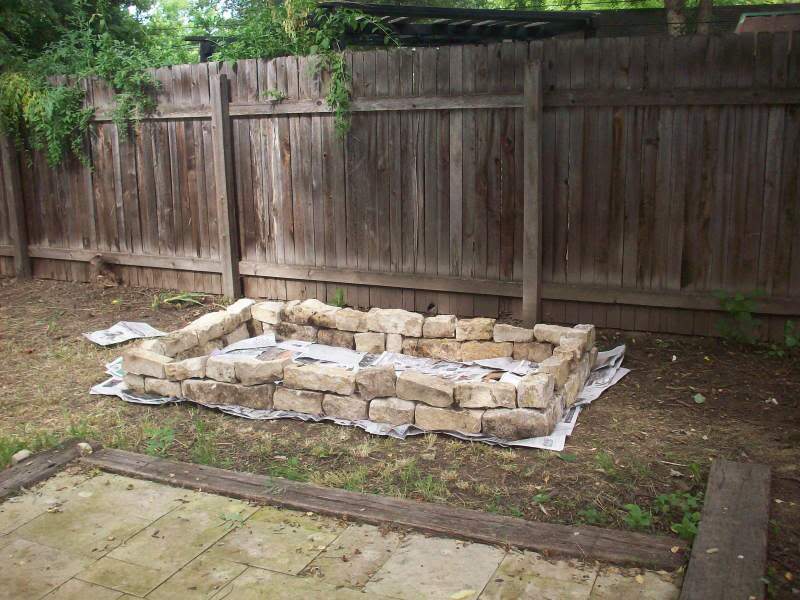 Some people go one step further and build a "kind off" retaining wall with any stones they happen to have lying around. Wooden frame raised beds are the most popularly used and come in lots of different shapes and sizes. This interesting one has been built up rather than across. 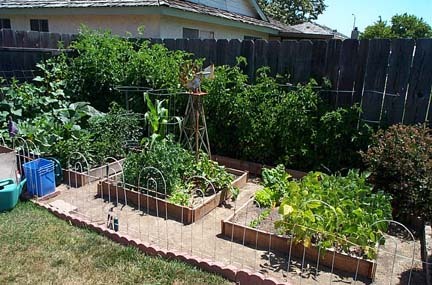 Very useful I would think if you only have a tiny area for your garden. 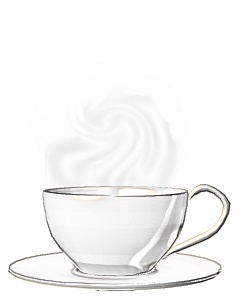 However most are a variation of the basic box. 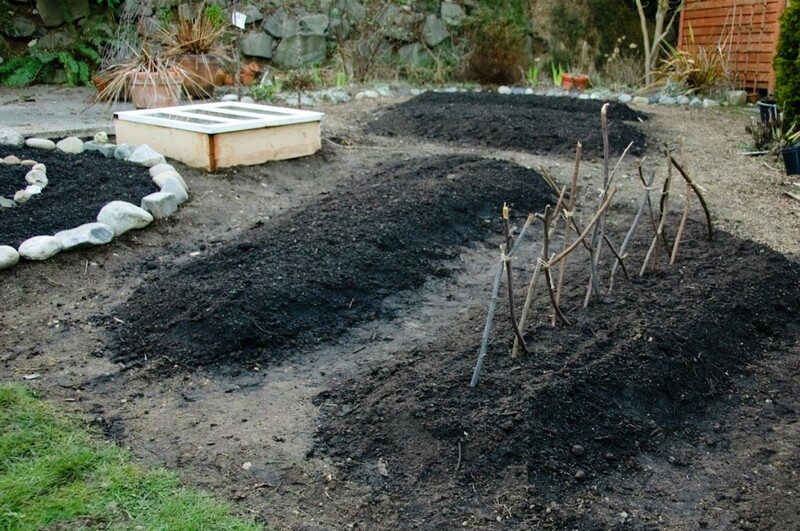 Building beds like these doesn't seem very hard. They are basically four pieces of wood joined together - how difficult can that be ? Since I was lucky enough to have someone build mine I don't really know, but it looks easy enough. 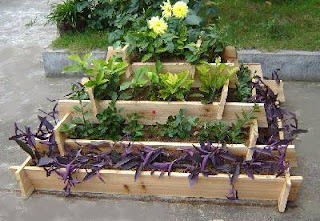 And of course if you want easy raised bed without all the work, their are various ready-made kits available. This one is from leevalley.com and looks a bit complicated to me. 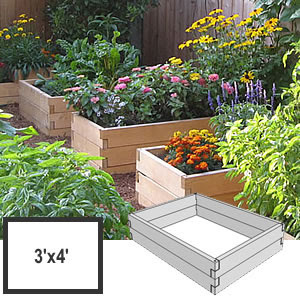 This one from 4seasongreenhouse.com looks a lot easier. If you want to go this route, a quick search on google for a gardening store in your area will probably give you a lot more options. 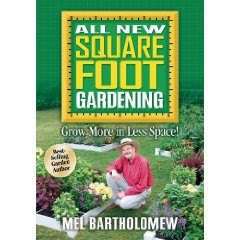 For more information on Square Foot Gardening you can buy the book here. "Almost any garden, if you see it at just the right moment, can be confused with paradise."